ATLANTA, Ga. (May 5, 2018) — Due to the 90% chance of rain and Thunderstorms in the afternoon and evening on Saturday, May 5th in-the-vicinity-of ECM Speedway and in consideration of the long distances most of the USCS race teams have to travel to ECM Speedway in Bremen, Alabama, the United Sprint Car Series Outlaw Thunder Tour has cancelled the USCS Saturday of Speed sprint car portion of the Saturday, May 5th event ECM Speedway. The USCS has agreed with track management to RESCHEDULE the sprint car series to return to ECM Speedway on SATURDAY – JUNE 9TH. We are sorry for any inconvenience this may cause anyone, but, we will see you in 5 weeks at ECM Speedway. 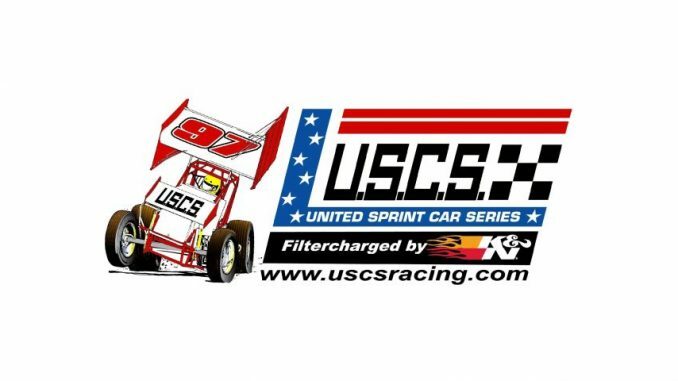 The next stop for the United Sprint Car Series will be for a weekend USCS double-header with the winged mini sprints of the www.RockAuto.com USCS 600 Sprint Car Series at Flomaton Speedway in Flomaton , Alabama on Friday, May 18th and at Southern Raceway in Milton, Florida on Saturday, May 19th.